If you and your significant other aren’t exactly foodies, that doesn’t mean you can’t still have a truly romantic evening this Valentine’s Day. In fact, all it means is that you have to be a little more creative! To help you plan your day, here are our top picks for the most romantic places in the Peak District. Stanage Edge is a gritstone rock formation that provides a pleasant walk for hikers of all skill levels. The hike to the top is slightly steep, but the walk along the bottom is quite easy and enjoyable. At its summit, however, you can enjoy some of the most breathtaking views of the Dark Peak. 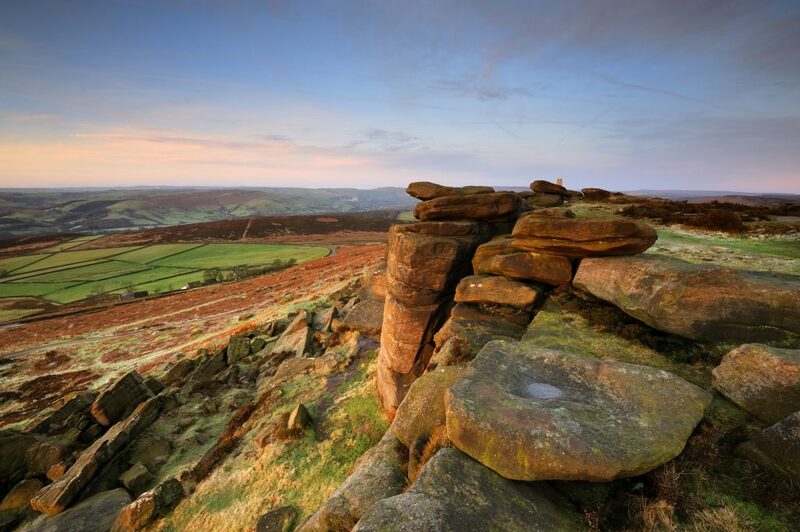 This is an ideal walk for active couples to go on for Valentine’s Day, and a romantic trip at dusk will give you fantastic photo opportunities as the sun sets over Hope Valley. 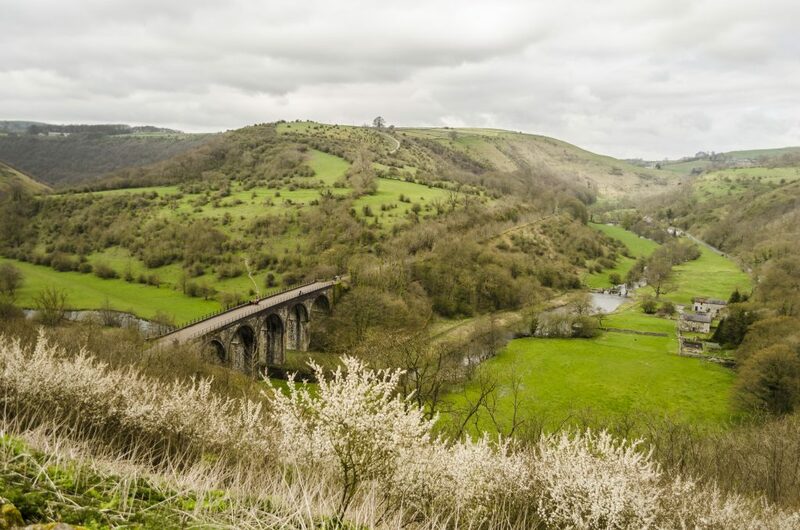 Monsal Head is easily one of the most popular areas in all of Derbyshire – and for good reason! The views are simply stunning. From here, you can see the entirety of the valley below and the beautiful bridge that runs above the River Wye. Whether the weather is nice or not, this spot still gives you a feeling of awe that just compels you to stop and stare. Plus, the walk up to the Head is quite gentle, so it’s a great place to go if you’re not up for a hike. Dovedale Valley is a gorgeously romantic place to visit, with the River Dove running straight through it. 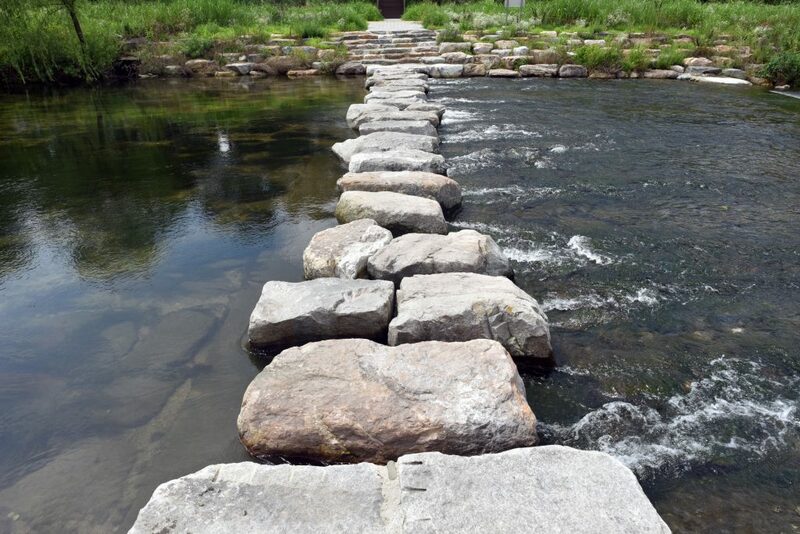 Hop across the stepping stones together, enjoy the beautiful views, or go for a calming walk – the choice is yours. Whatever you do, don’t forget your camera because this valley is so utterly picturesque that you’ll be want to snap away the whole time you’re there. 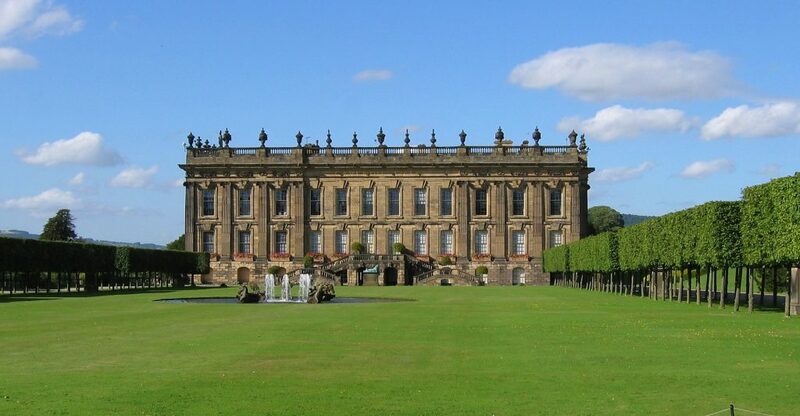 Perfect for artsy couples, Chatsworth House is full of classical artwork, sculptures and beautiful architecture. Outside, you can explore the acres of garden and pretty water features. There’s plenty to enjoy, and as an extra treat, they are having a Valentine’s Day afternoon tea this year. Yum! 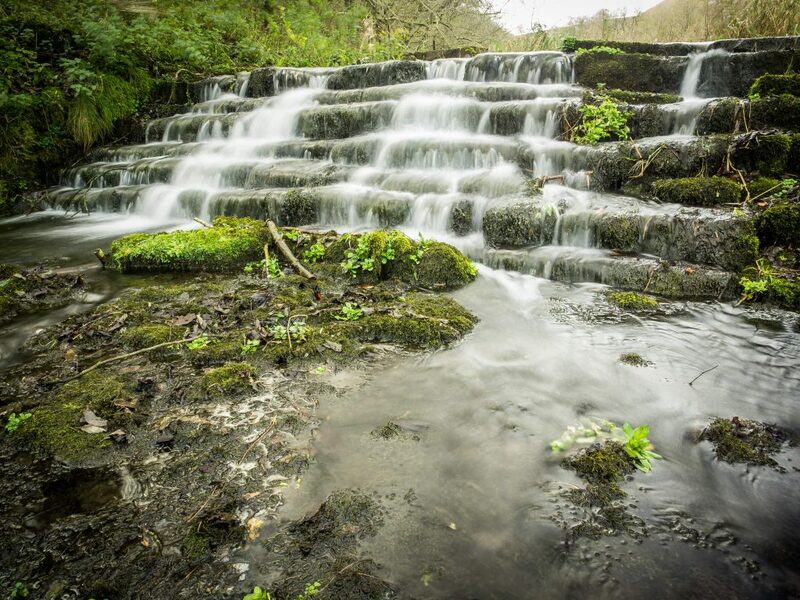 Lathkill Dale is a relaxing and somewhat magical gorge area, with parts of the River Lathkill running through it. Crystal clear water cascades over the rocks and provides a relaxing ambient noise to enjoy during your walk, and the local flora and fauna add to the ethereal atmosphere. Utterly romantic and captivating. Will you visit any of these romantic places this Valentine’s? As you can see, there’s plenty more to do in the Peak District than simply going for a romantic meal. Although, you could do that, too. If you fancy visiting one of these romantic places, why not book a stay at one of our luxury holiday cottages? They’re simply perfect for a couples’ weekend away and we’re in an ideal location to explore the local area. We’re also dog-friendly, and you can bring your pet along for free!